Huge Price Drop!!! 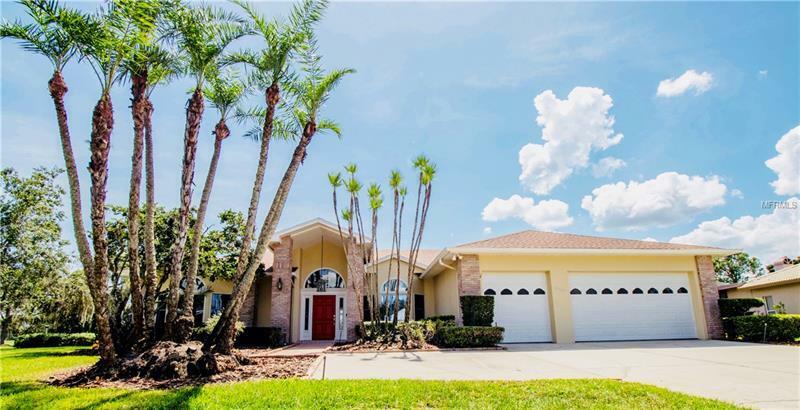 Located in the popular golfing community of The Eagles this 4 bedroom 3 Bath 3 Car pool home sits on a oversized lot almost 3/4 acre and is directly on the âThe Lakesâ course. From the large screened pool and covered patio area you have breath taking views of the 8th green, 9th tee box, fairways and lake! Community features include 2 championship golf courses, clubhouse with a restaurant and bar&grill, tennis courts, basketball court, park/playground, and 24 hour staffed security at all entrances. This custom contemporary home features a large open floorplan, huge walk-in pantry, spacious bedrooms with 2 master suites, wood burning fireplace, and a large covered lanai with a built-in grill/wet bar. Recent updates to the home include brand new roof 2018, new flooring throughout, stainless appliances, whole house water filtration/water softener, newer high efficiency Trane AC, water heater, fresh paint inside/exterior, and newer Anderson double pane windows. It is also in a top rated school district, minutes from shopping, entertainment, and only 20 minutes from Tampa Airport. Motivated Sellers! !